The American black bear is native to New Jersey. Prior to European settlement black bears lived in forested regions throughout the state. As European settlement progressed, forests were cleared for towns, farming and lumber. Black bears were killed indiscriminately by settlers to protect their crops and livestock. Loss of habitat and indiscriminate killing caused the black bear population to sharply decline throughout the 1800s. In 1953, the New Jersey Fish and Game Council classified the black bear as a game animal, affording it protection from indiscriminate killing. Limited hunting was legal for black bear until 1971 when the Council, based on an assessment by Division of Fish and Wildlife (DFW) biologists, closed the hunting season. 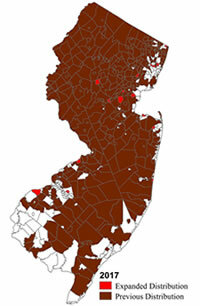 DFW biologists began conducting research on New Jersey's black bears in 1980. Over the last 35 years, the Garden State's black bear population has been increasing and expanding its range southward and eastward from the forested areas of northwestern New Jersey. 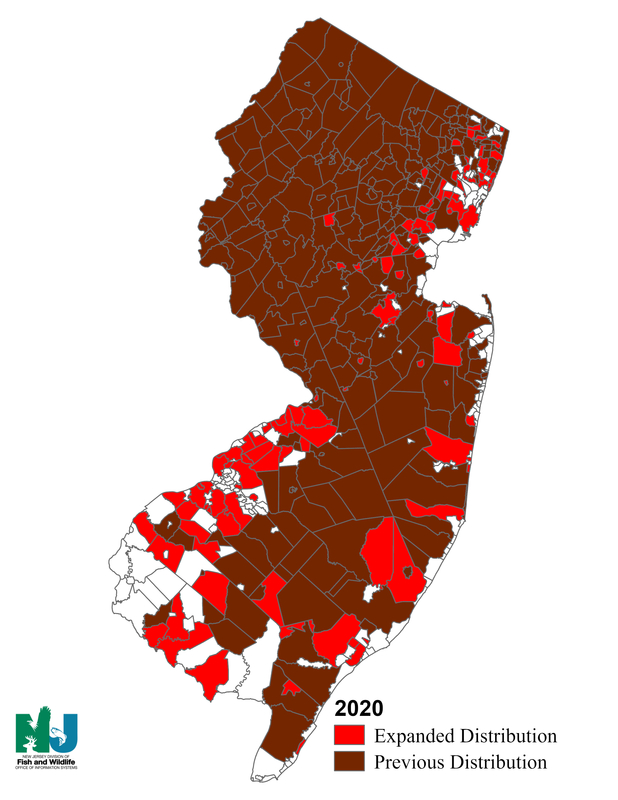 The population has grown due to increased black bear habitat as agricultural land reverted to mature forests, protection afforded by game animal status, and bears dispersing into New Jersey from increasing populations in Pennsylvania and New York. Additionally, the state's black bears have some of the largest litters and highest reproductive rates in the nation. Today, black bears can be found throughout the state. Since 1980, the DFW has steadily increased its efforts to responsibly manage our large and expanding black bear population and to be responsive to the increasing conflicts between bears and people. Since Fiscal Year 2001, DFW has spent more than $9 million on black bear management. This includes $5.5 million of general treasury funds and $3.5 million from the Hunters and Anglers Fund and federal grants. The Comprehensive Black Bear Management Policy allowed for annual hunting seasons, to be evaluated after the 2014 season concludes. DFW's bear management strategy is an integrated approach that includes research and monitoring, non-lethal and lethal control of problem bears, public education on how to coexist with bears, enforcement of laws designed to reduce bear related conflicts, and bear population control. In September, 2014, a fatal predatory black bear attack occured in West Milford, Passaic County, resulting in the death of a 22-year old male. It is the first documented bear fatality in New Jersey's history. Though extremely rare, such attacks have and do occur throughout black bear habitat in North America.